The Department of Microbiology strives to enhance the vision of its benefactor Grania Guinness of an academic institute committed to exploration of the interactions between microbial pathogens and their hosts. 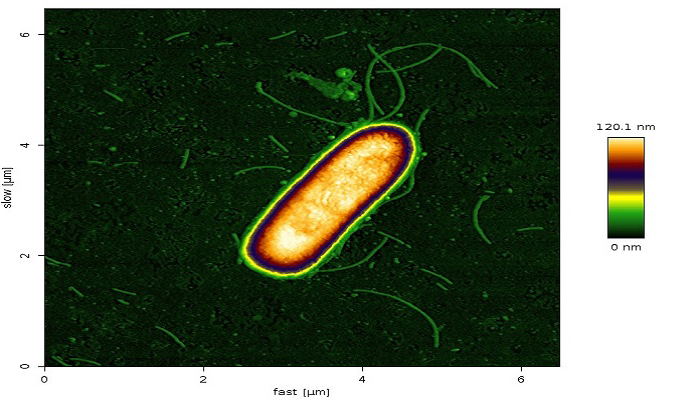 Microbiology Microbiology is the branch of the life sciences which deals with the biology of prokaryotic and eukaryotic microorganisms - bacteria, fungi (moulds and yeasts), protozoa and viruses. 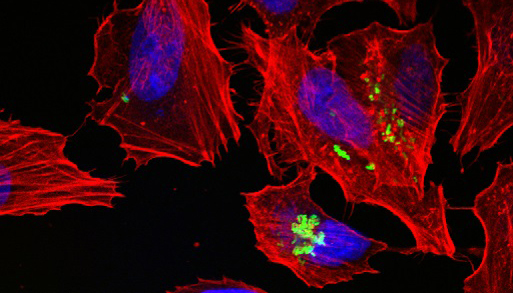 Microbiology The Department has a strong commitment to research, with the core research themes being in molecular biology of pathogenic microbes, preventive medicine, and microbial systems biology. College Open Day Check out our Facebook and Twitter feeds where during the next academic year, we will feature our news. Microbiology Society Prize 2018 Congratulations to Claire Crowley who achieved the highest overall mark in Junior Sophister Microbiology in 2017-18. 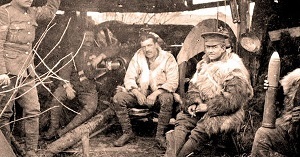 The bacterium was isolated from a British soldier and stored for over 100 years before being revived and sequenced. 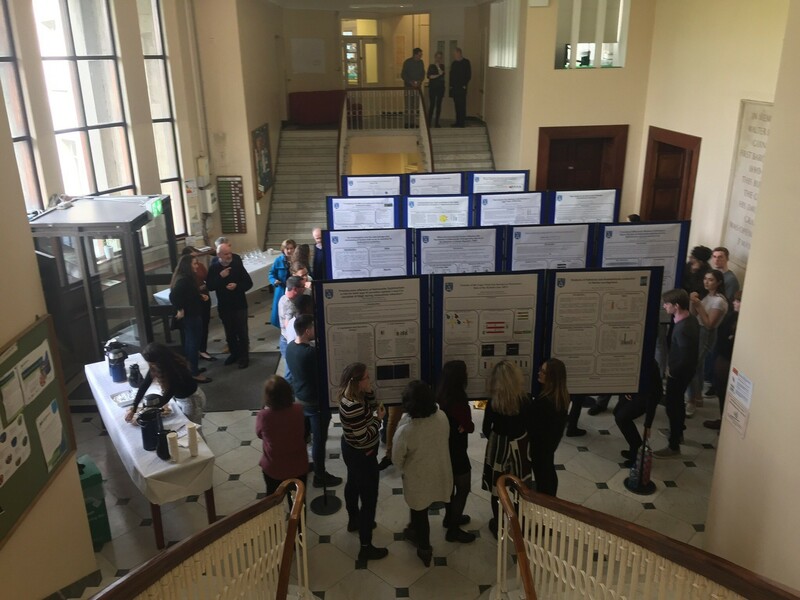 Fantastic student posters at the TCD Microbiology Festival of Research 2019. Awarded a certificate from the Saudi Cultural Bureau in Ireland in recognition for the best postgraduate student presentation and outstanding scientific achievement. The Master of Science (M.Sc.) 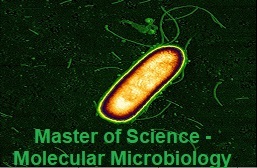 in Molecular Microbiology is a full-time research-based postgraduate course. 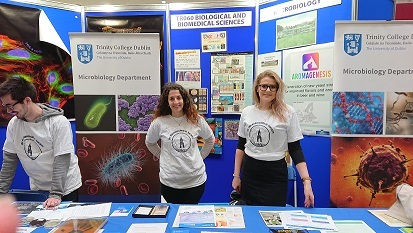 The Department would like to thank all our volunteers at the Microbiology stand for another successful open day. Mohamed Alhussain, Postgraduate student pictured with Dr. Alastair Fleming (PI) receiving the best poster presentation award by the Irish Fungal Society 2018, hosted by Maynooth University on the 18th & 19th June. The Department would like to congratulate the Microbiology Senior Sophister class of 2017-18 who celebrated their moderatorship classifications on Friday, June 1st. 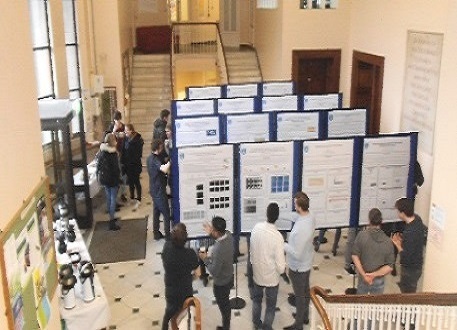 The Festival of Research was held in the Moyne Institute for Preventive Medicine on Wednesday, March 14th. 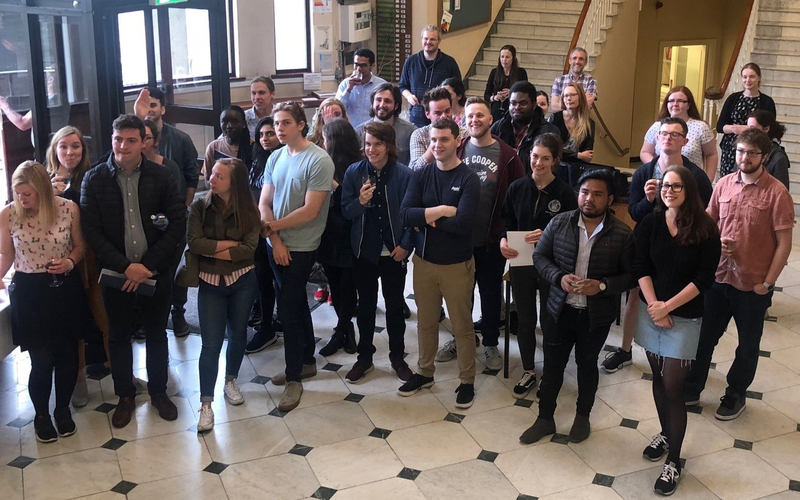 The Senior Sophister students presented the results of their research projects to staff and students at the poster session, which was also attended by parents and friends of the Senior Sophister class. 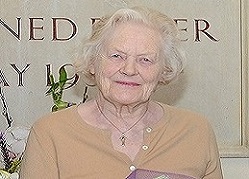 In memory of the late Grania Maeve Rosaura, Dowager Marchioness of Normanby (Grania Guinness) who died peacefully at home on 15th January, aged 97 years. 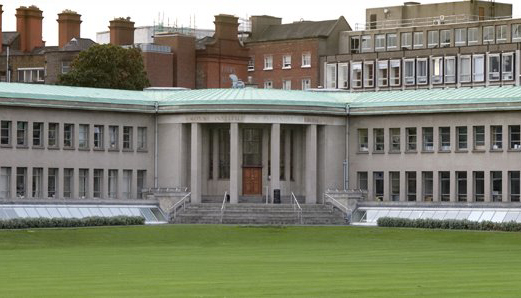 The eighth annual symposium of the Dublin Academy of Pathogenomics and Infection Biology (DAPI) was held on Friday 12th January 2018.